There’s no point in beating around the bush: If you’re looking for a smart smoke and carbon monoxide system, the Nest Protect should be at the top of your list. Now in its second generation, the Nest Protect doesn’t just work well, it’s extremely easy to set up and use. 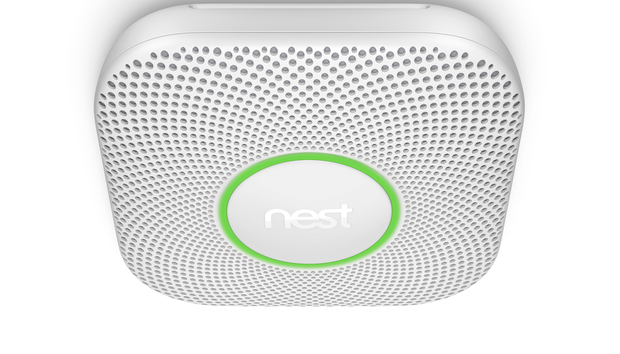 At its heart, it’s a traditional smoke alarm like the hockey pucks you’re probably used to: If smoke or CO is detected by the device, a loud alarm sounds and, in the case of the Nest Protect, a voice alert tells you what hazard has been detected. To turn off a false alarm, press the button on the top of the Protect, or use the app to disable the siren. (This capability can be turned off if you’re worried about remote or false dismissals of alarms.) The ring around the control button lights up to serve as a nightlight—and to assure you that the batteries are up to snuff. Setup is wholly painless. You install the Nest app (if you don’t already have it for other Nest items), then add the product by scanning a QR code on the back of the Protect. Once connected to the internet, the app presents a limited slate of configuration options (such as setting which room the device is in), a checkup button that lets you confirm everything is A-OK, and a history of alerts that might have been tripped. If you’re installing the device at a remote location like a vacation home, these services can go a long way toward offering peace of mind. The Nest Protect keeps a running history of emergency situations. When an alarm is tripped, Nest Protect gets to work alerting you not just via its alarm, but also via a color-coded LED on the top of the device (yellow for low levels of smoke or CO, red for a “get-out-now” level of danger). 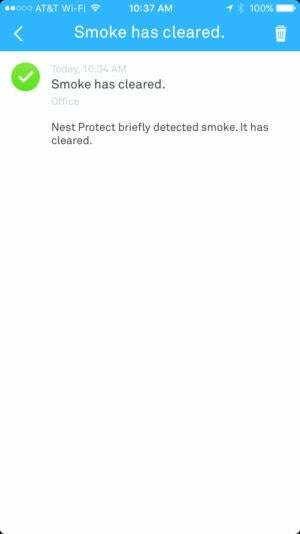 In testing, the Nest was among the quickest to detect smoke, and its two levels of detection were effective at avoiding false alarms. The alarm and voice commands (which tell you where the smoke is) are loud and clear; and when the smoke clears, the alarm shuts off quickly. I also successfully received push notifications on my phone when the alarm sounded, with alerts arriving within a few seconds. While the Protect is a solid product in its own right, it shines brightest if you have multiple Nest products in your home. 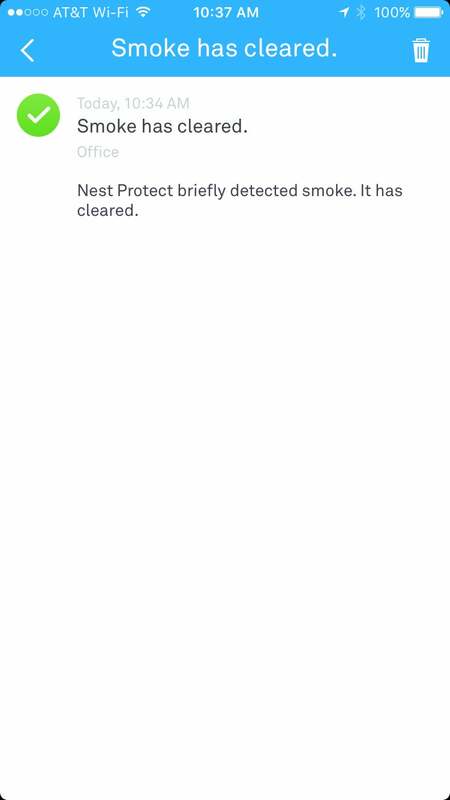 If smoke is detected, the Protect can tell a Nest thermostat to shut off the air conditioner (which could ventilate smoke throughout the house). If you have smart light bulbs connected to the Nest ecosystem, these can be set to flash in time with alerts. The device also supports a robust IFTTT ecosystem. These are features that few homeowners think about when choosing a utilitarian device like a smoke alarm, but they could make a huge difference in a disaster situation. Nest Protect isn’t cheap, but even at $119 it’s not the most expensive smart smoke detector on the market. Still, given that a “dumb” smoke/CO detector can be had for as little as $25, that may be a tough upgrade to swallow. I’d argue that it’s worth it, particularly if you want a way to dip your feet into the smart home world and want to start off with a product you might actually use.